Nice boat, what's the carrying capacity? Was involved in a joint SAR and Fire Department rescue practice a few years back, we could have used this! 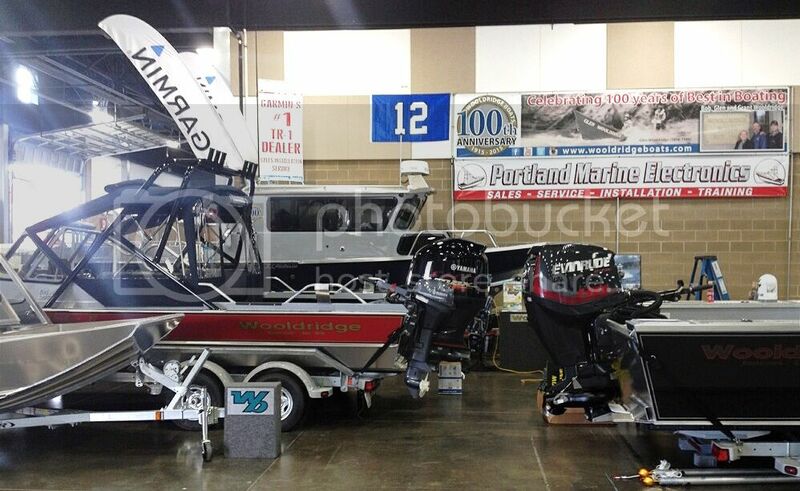 Make sure to come visit us at the Puyallup Sportsman show from January 25th-29th. We hope to see you there! 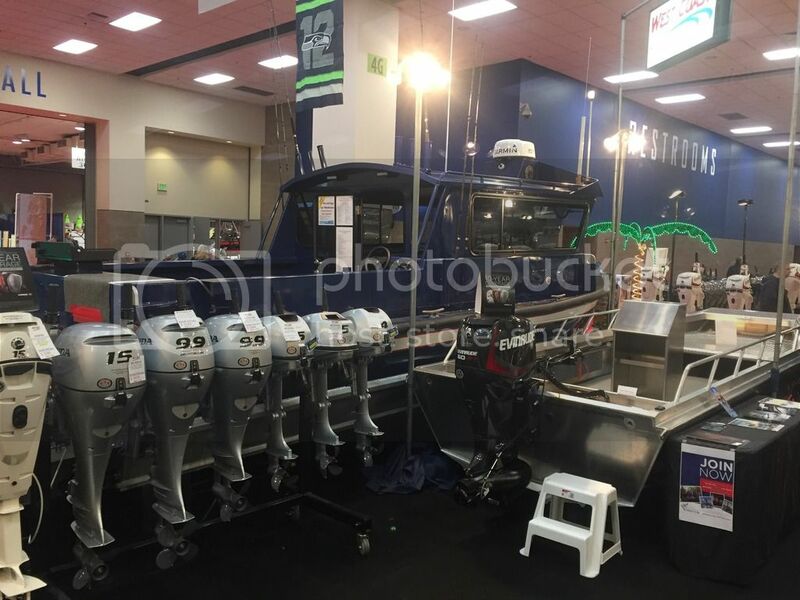 Make sure to visit our dealer West Coast Marine Services Inc. who is representing us at the Seattle Boat Show! Show is open through Sunday till 6 PM. 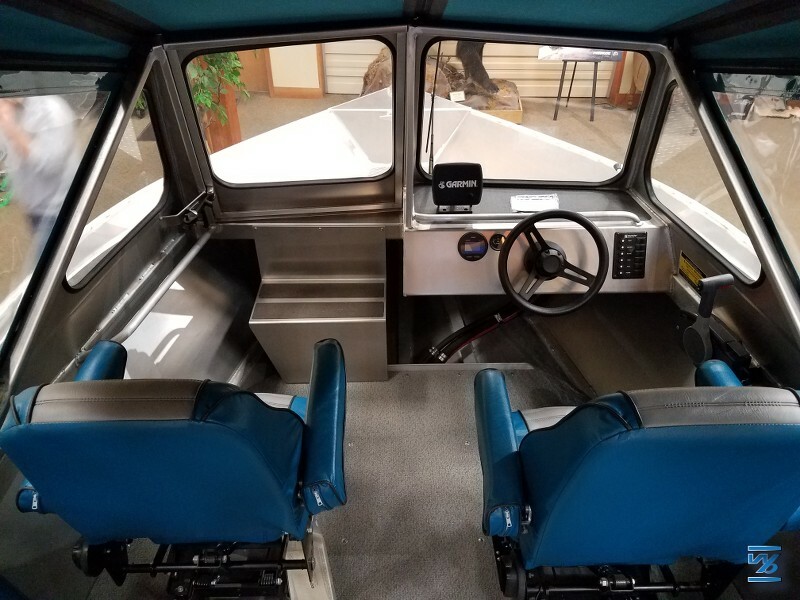 They'll have a custom 24' Pilothouse with 300HP Yamaha and a 17' Alaskan on display. Also a 20' Sport Offshore which is not pictured. Don't miss out! 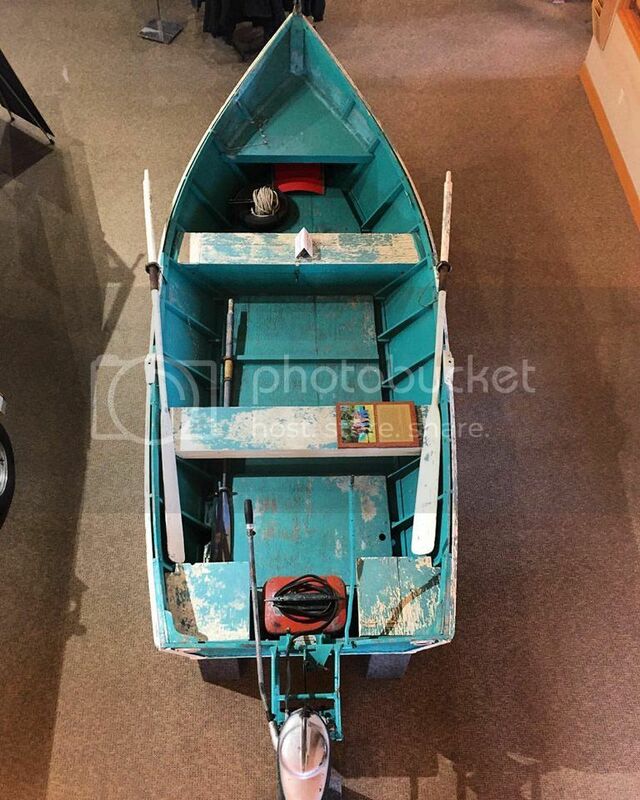 Top view 1955 Wooldridge boat built for Lyle Woodcock. 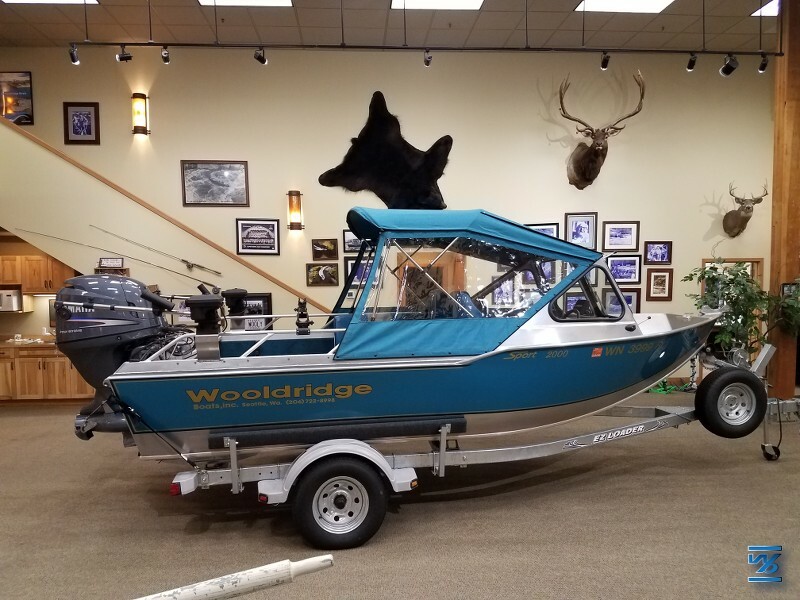 Glen Wooldridge sr. had been building boats for 40years at the time he built this one. 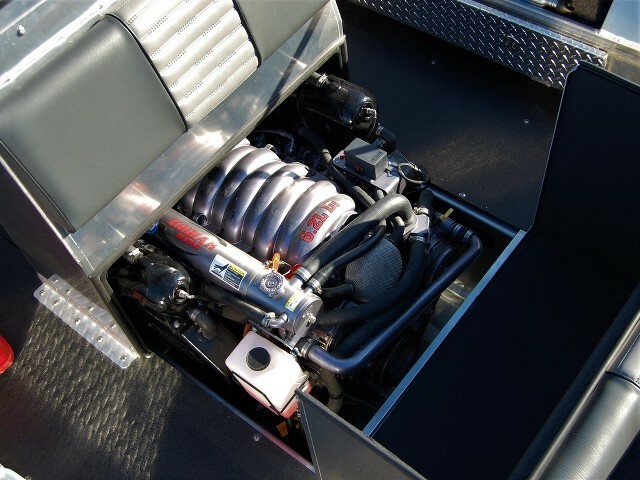 Powered by a 20hp Keihoffer @mercurymarine with Glen Wooldridge's patented #jackass outboard motor lift. 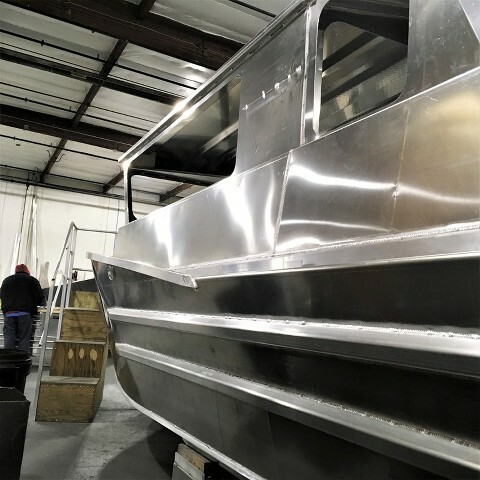 Custom 24' SS #offshore Pilothouse almost ready for bottom paint! 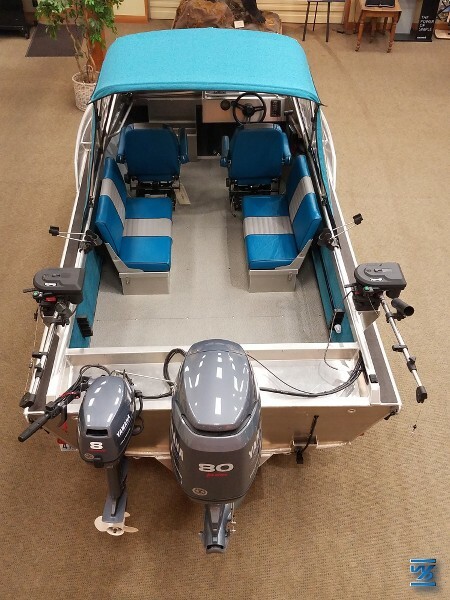 @yamahaoutboards powers this boat with its F300 and @garminmarine keeps it from getting lost. Bow shape matters when the wind starts to blow. 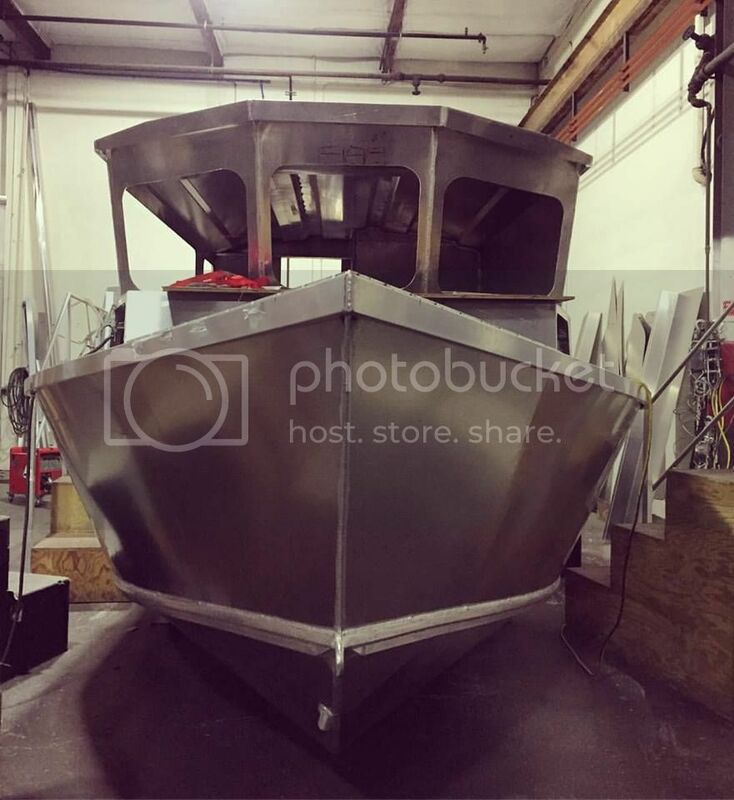 This is a nice little 27' #SS #Offshore #Pilothouse coming through production. 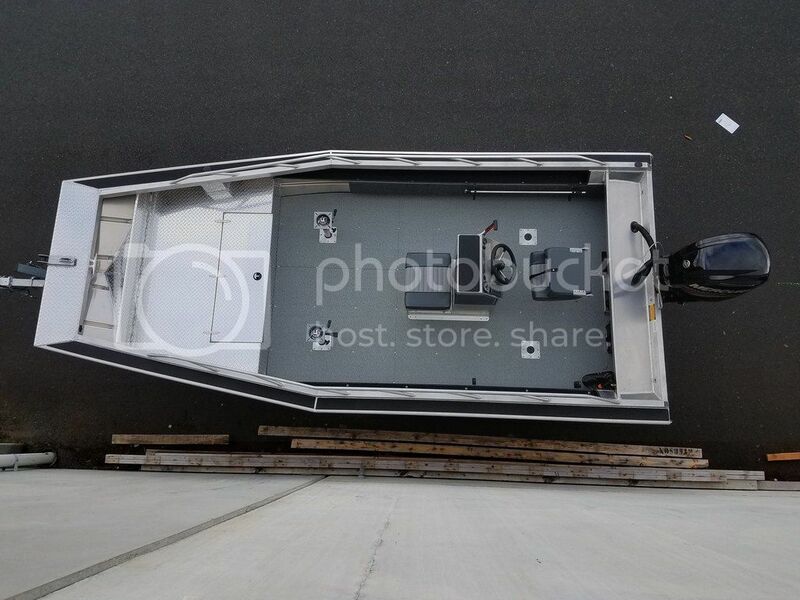 Here is the ever popular 17'10" #Alaskan #XL. 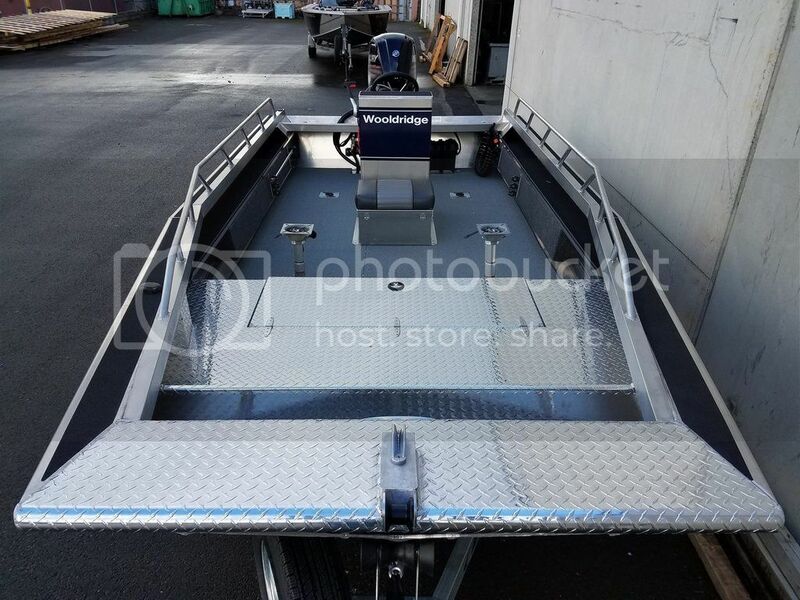 A few years back , we put our collective heads together and combined the functionality of a larger #boat with menueverablity of a small #river boat. 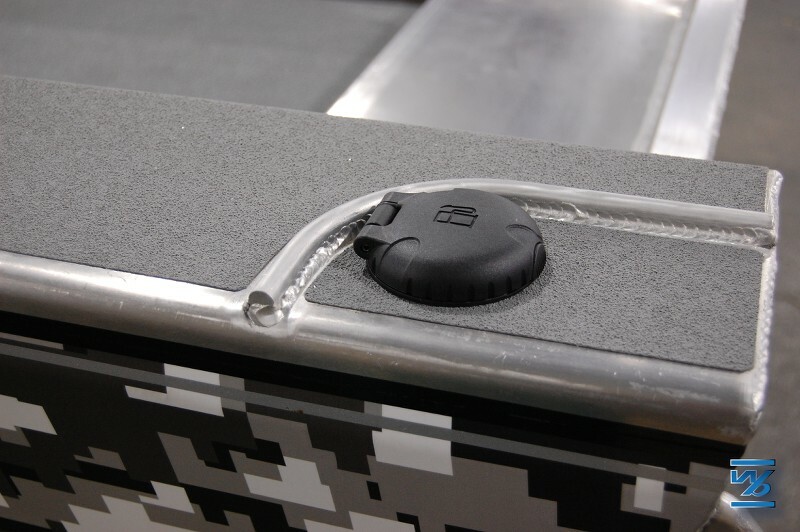 We thought some folks would want something more compact but excel in hauling loads, getting on step quick and #fishing on a level platform. Balance is uber important in all aspects of #boating and many fishing techniques require good level #tracking. Side #drifitng and pulling #divers or #plugs in particular are good examples of this. 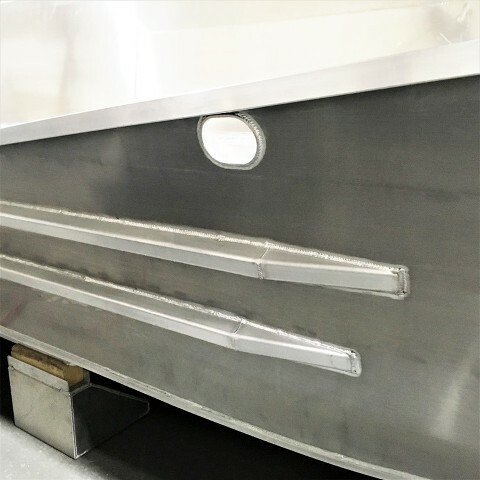 We eventually decided on producing the XL series in 17' lengths and the rest is history! 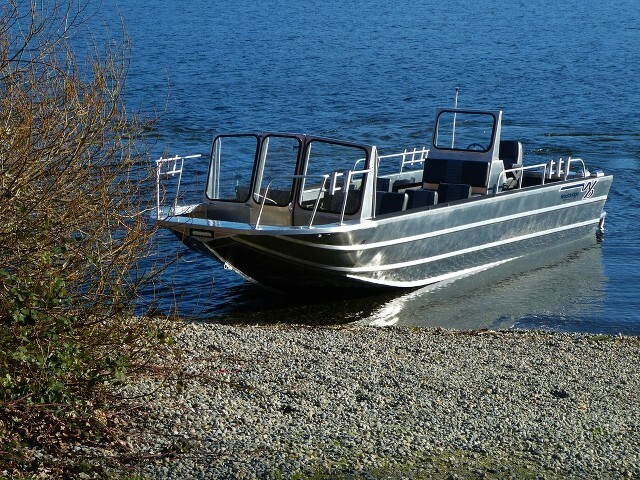 We're proud of how these smaller #jet boats perform whether #navigating the boulder mazes of the #Bulkley River for #swinging #flies on #fall #steelhead or #side #drifitng on the #Cowlitz #River for the many runs of steelhead and #coho. 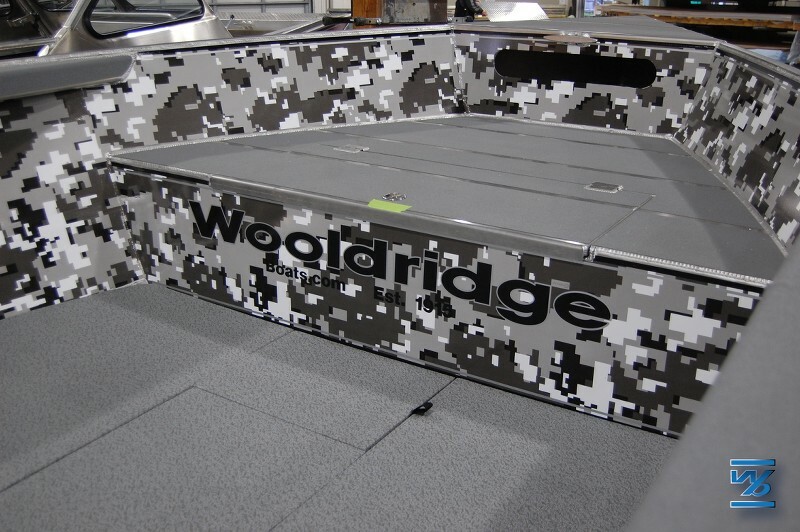 The #Wooldridge 17'10" Alaskan XL can do it all and will still fit in your garage. Bob and Glen just did the brake in on a 20’ Alaskan XL with a Mercury 200 sport jet that will soon be heading to Burkeshore Marine of Alaska. 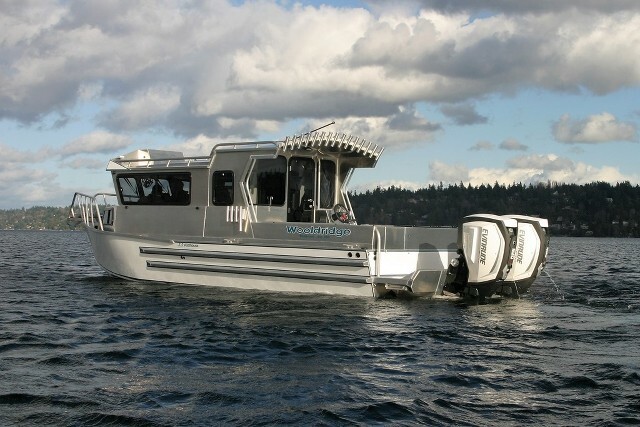 This is our 20’ Alaskan XL with the mid windshield option. This is super popular in Alaska when you want the pickup truck bed storage but don't want to haul it through the windshield when u pull up to the beach. Load the bow with gear and game and go! 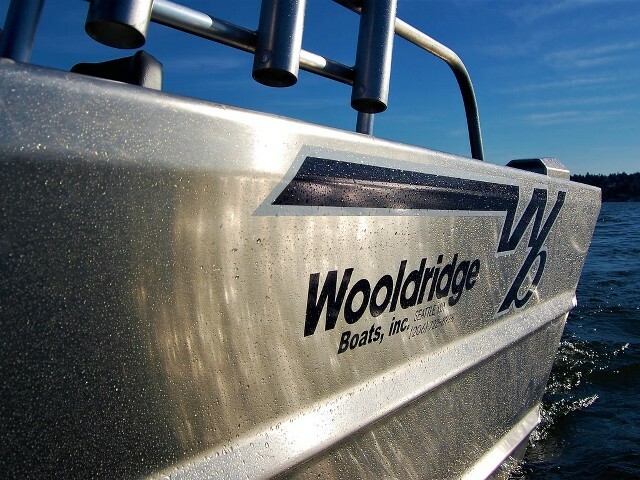 Just a couple of Wooldridge Pilothouse boats, itching to get out on the water! 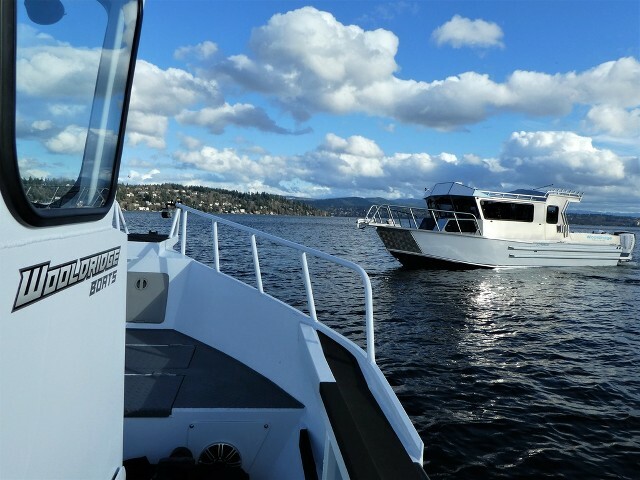 The boat on the left is a 29’ Super Sport Offshore Pilothouse, and on the right a 24’ Super Sport Offshore Pilothouse. Three boats left the shop today to go to their new homes in Idaho. 20' Sport Offshore out and tested! 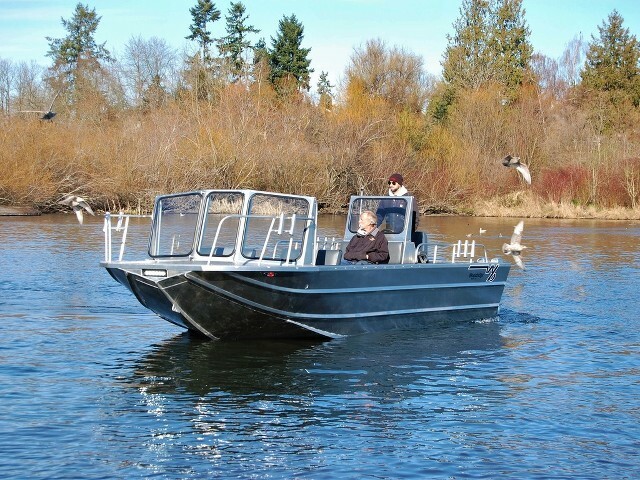 This boat is heading to the Washington Department of Fish and Wildlife. Always good to have Bob Wooldridge out running in the boats! Pretty sweet little boat here! 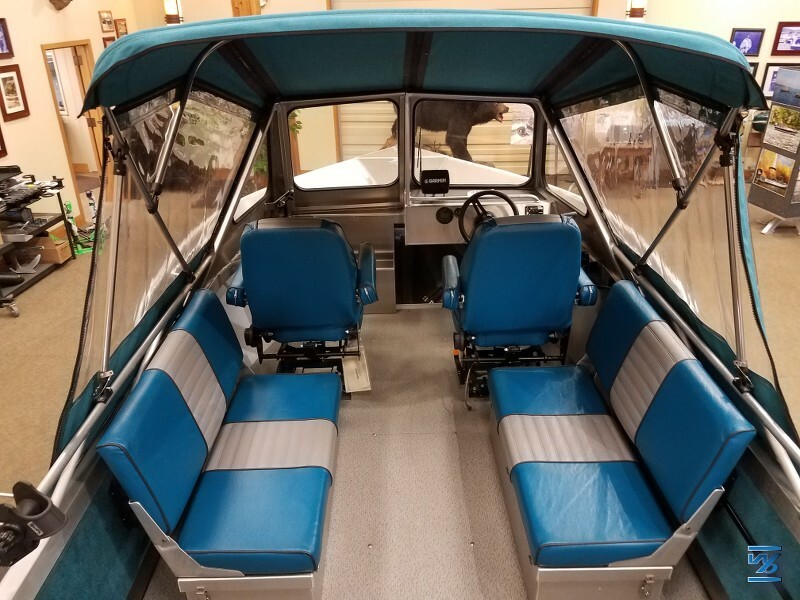 This ones a little different from the norm, the windshield is sitting back 18" from its standard location giving way to a more open and spacious front deck area, with a full swim step at the stern. Powered by a Mercury Sport Jet 200 this thing is going to be a rocket ship! 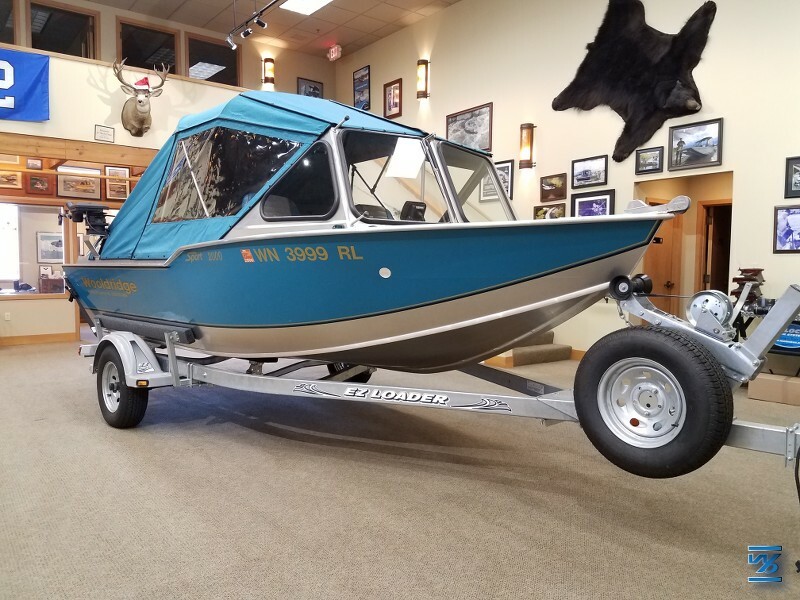 Few boats left the factory over the weekend on their way to one of our dealers River Rat Marine in Idaho falls, Idaho. Keep your eyes peeled for them! Putting the finishing touches on this 21' Super Sport Offshore. 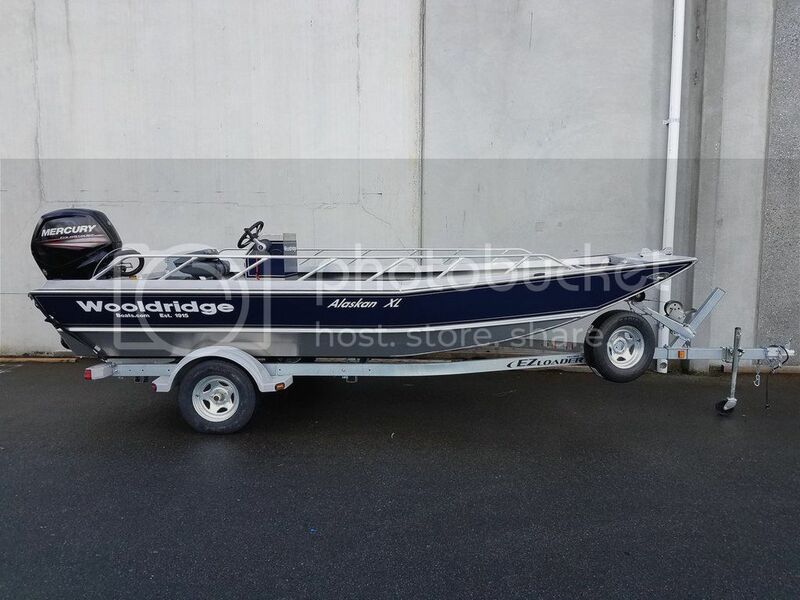 Powered by a Evinrude G2 150hp this boat will be cruising the waters of the Pacific Northwest for years to come. 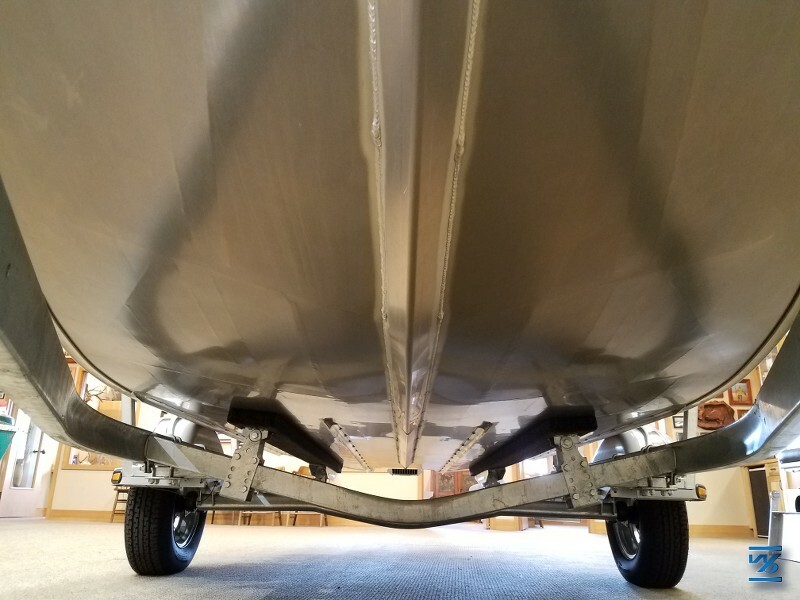 Huge 27’ Super Sport Drifter(30'' high sides) getting the last touches before rigging. 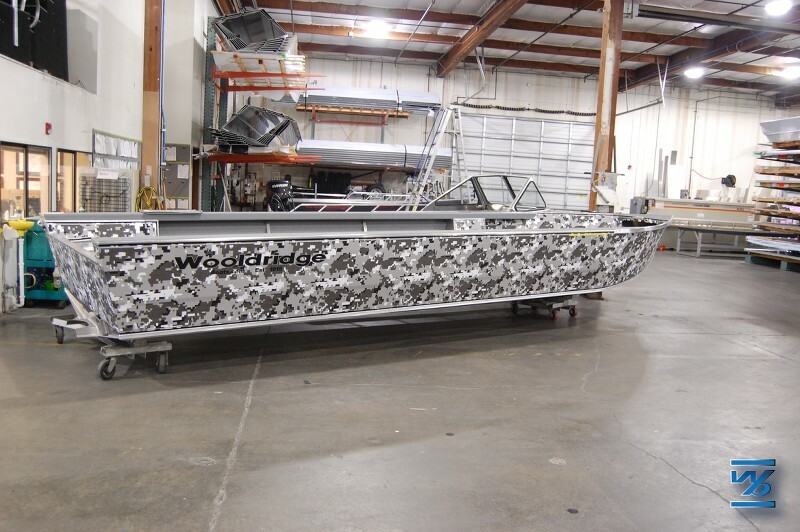 This boat is heading all the way down to the Tampa Bay area and will be used as a guide boat in the Florida area. Sometimes plans and great intentions get shelved. 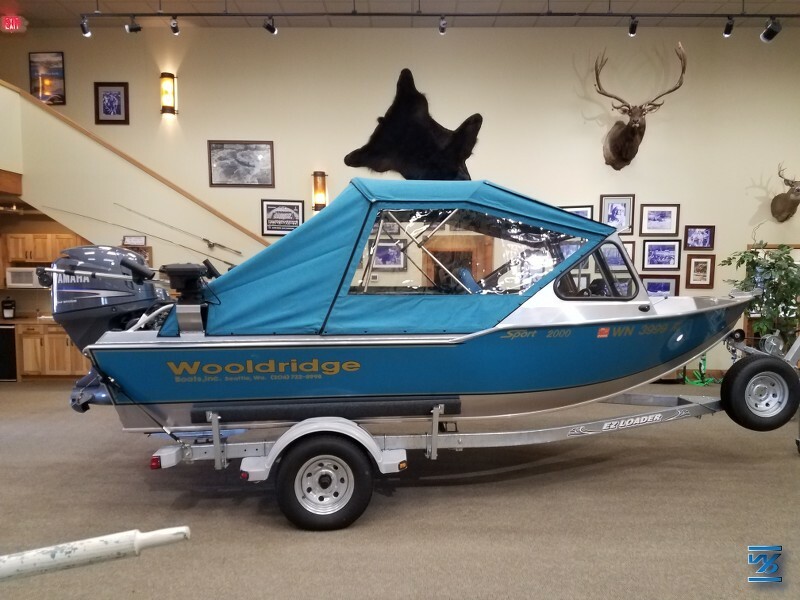 In the case of this pristine 2003 model year Wooldridge 17’ Sport, it was garaged and only touched the water 3 times. Never has it seen salt water or even the river but only the clear waters of Lake Washington. It is truly a time capsule and in mint condition with literally only 8 hours on the Yamaha 115/80 jet. 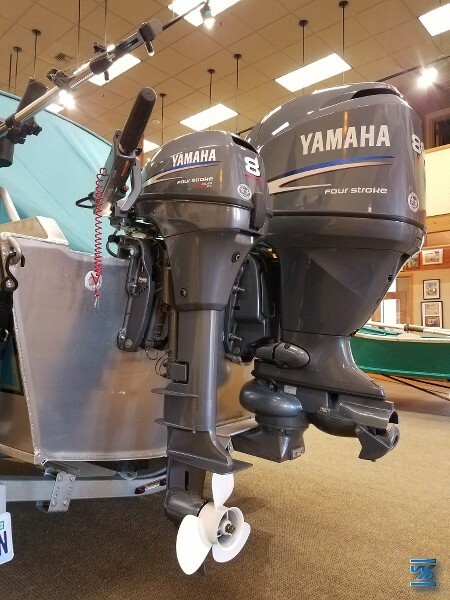 The Yamaha kicker has never been trolled or fished. 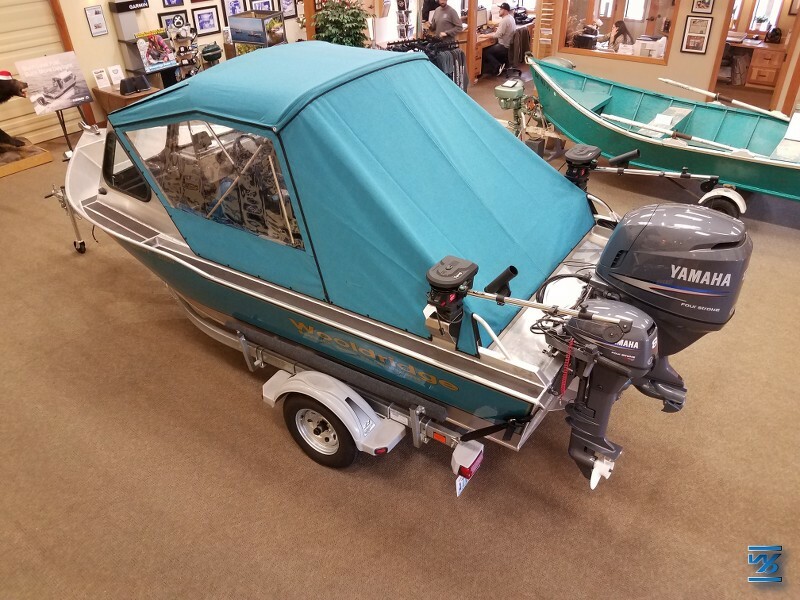 This boat is completely loaded with everything a river and lake fisherman needs and the Sport is designed to perform in both extreme shallows as well as handle the chop of lakes and bays. Both main and kicker motors run like a top and all systems check out! Features and options are listed below. Save $20,000.00 over a new model 17’ Sport with the same options! This boat looks new with “like new” hours. 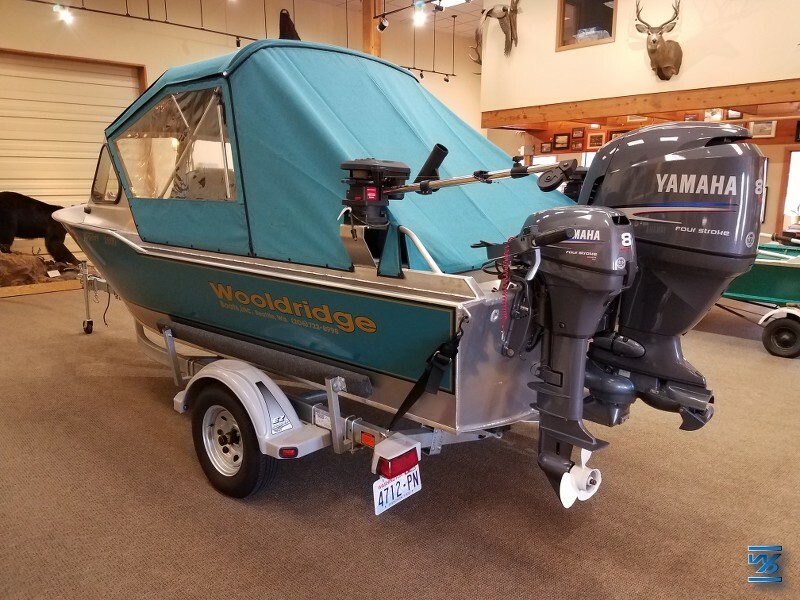 A rare and true bargain for any prospective Wooldridge Boat owner! We’re pretty excited about these two boats! 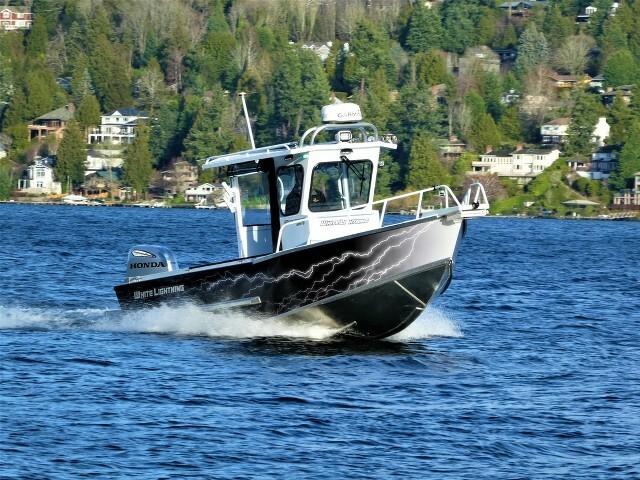 30’ Super Sport Offshore Pilothouse and a 21’ Super Sport Offshore! These Boats are very different from each other but both are fish killing machines! 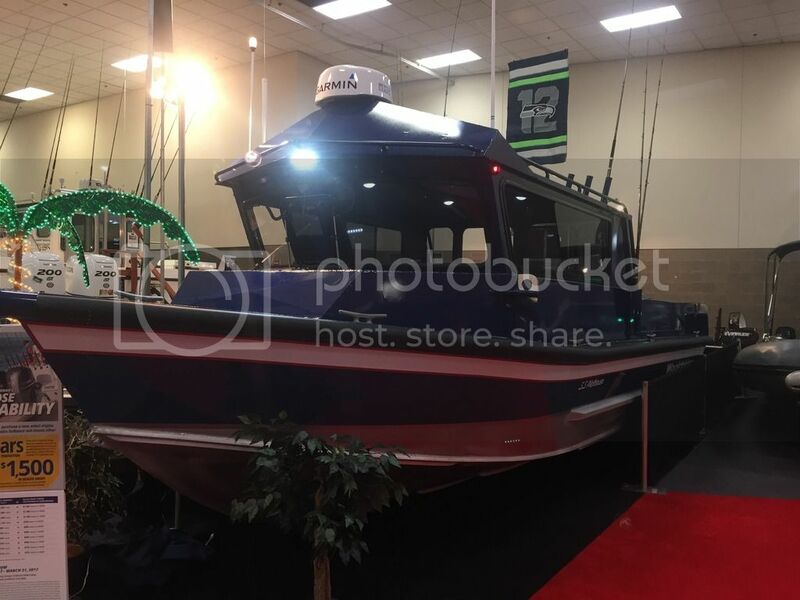 The 21’ Offshore will be at the Seattle Boat Show through Feb 3rd and the 30’ Pilothouse will be at the Portland Sportsman Show Feb 7th – 11th. If you are in the area stop by and check them out! one rarely encounters the term " 21 foot" and "offshore" in the same sentence. 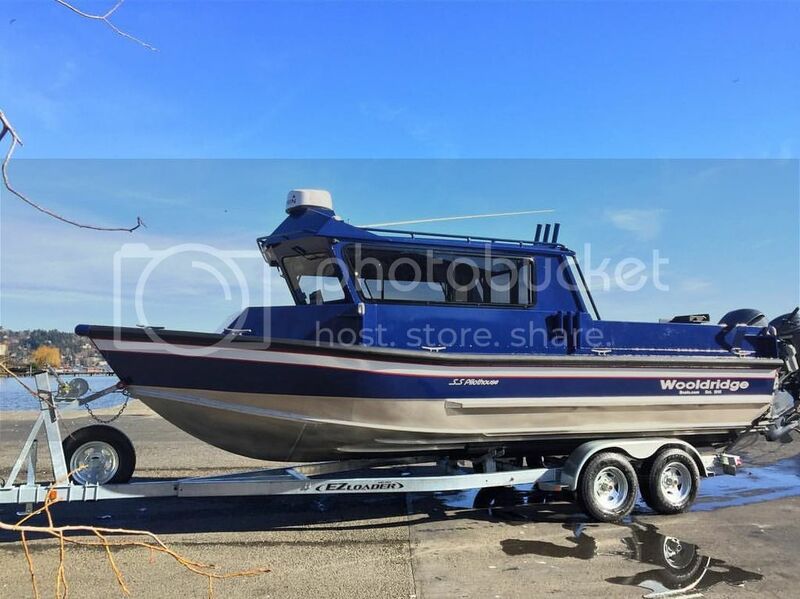 that said, I suppose any craft on the water is "offshore"
Latest walk-through and fishing video with a pair of custom 24' Super Sport Offshore Pilothouse boats. one rarely encounters the term " 21 foot" and "offshore" in the same sentence. that said, I suppose any craft on the water is "offshore. Have to laugh at this. Apparently you've never fished off of So.Cal. There are guys who fish 60+ miles "offshore" in 13' zodiacs. 18' Parkers are not all that uncommon. Lots of panga's off of Ensenada and they aren't very big nor very protected. There are even guys who fish for tuna on jet ski's or so I've read on message boards. BTW, my boat is 21' as well and I don't have any problems about going "offshore". 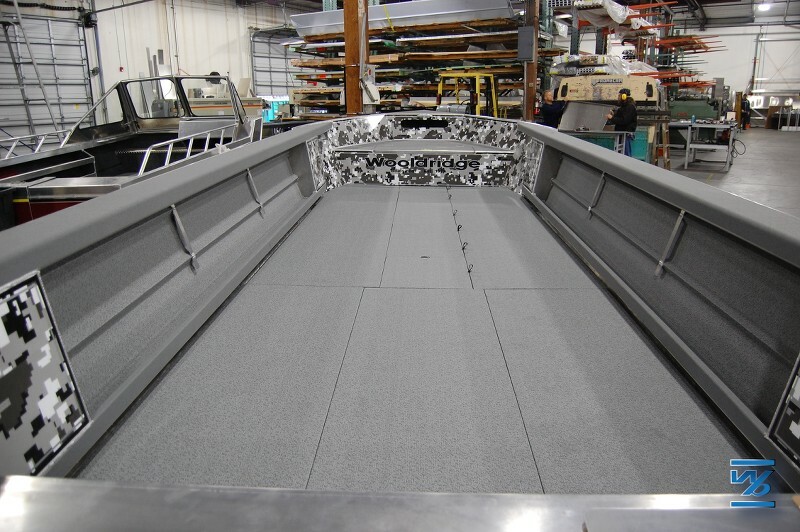 Here are a few photos of a custom 23’ Canyon Classic that's just about ready to leave the factory. Customer of ours sent this beautiful photo of him out and about chasing salmon in his 20’ Sport! 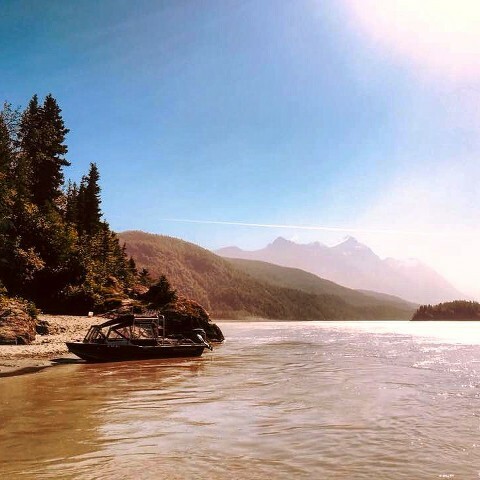 Jason calls Palmer, AK home. 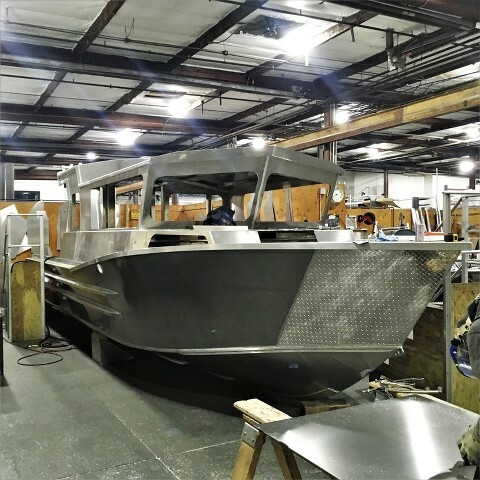 Build is progressing along on this 30’ Super Sport Offshore Pilothouse! 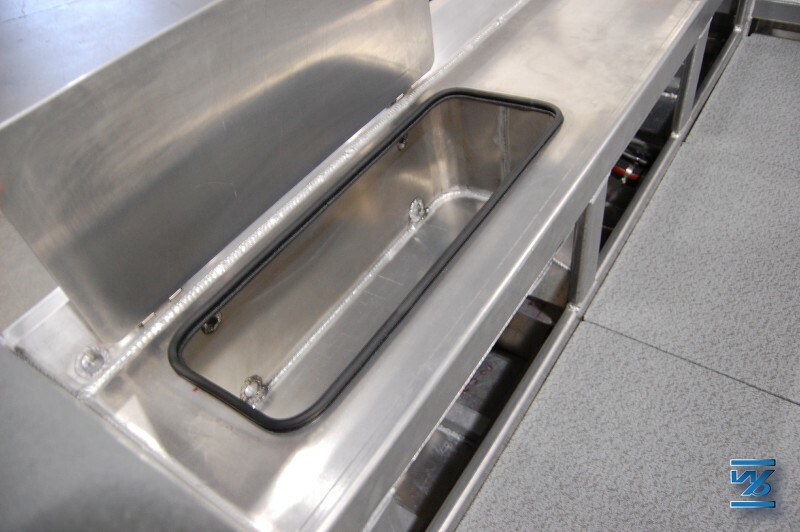 As with most of our boats this one will be custom tailored to this individual’s wants and needs. 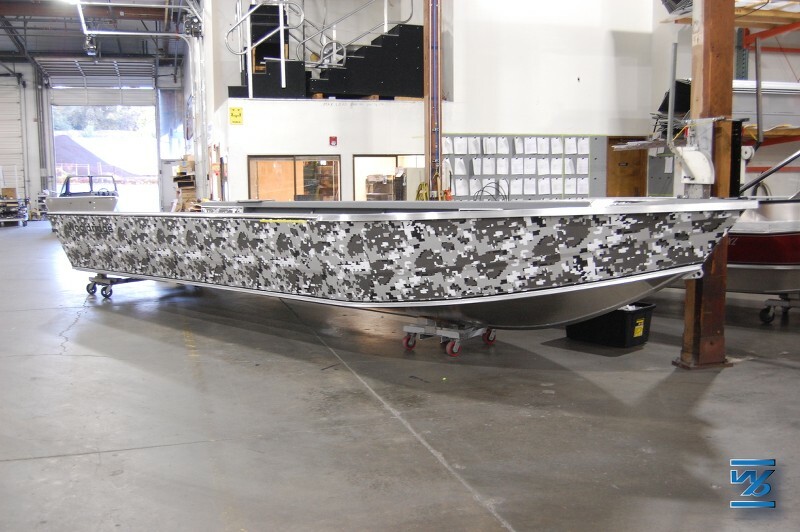 Keep your eye out for more updates as it moves through the fabrication and assembly process.